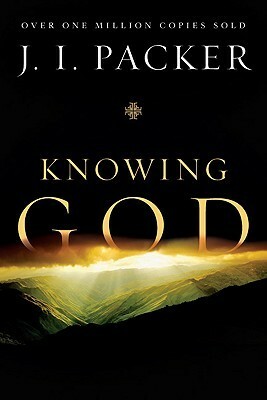 Over the past several weeks, I have been reading the classic book Knowing God by J.I. Packer together with hundreds of people (over 800!). The idea was initiated by Tim Challies, a Christian pastor who blogs here. Actually, I have had this book since June 2012, but I never went beyond the first few chapters. Reading it in community with others, however, has spurred me to traverse the entire book and mine its profound content. Described by R.C. Sproul as ‘a masterpiece by a master theologian’, it is a brilliant work which explores the grandeur and glory of the sovereign God. Below are some insights I have gained since I started reading. They were shared on Facebook at various times while I was reading it. The lives of Abraham, Jacob and Joseph teach us that God will employ adversity and trials in forming godly character in his people. Abraham learnt patience and trust in God, Jacob learnt to abandon his self-reliant and cunning ways, Joseph was shaped into a model of integrity, faithfulness and courage. In all these, we see God’s profound wisdom at work. Knowing fully well that all our circumstances are wisely ordained by God, our response should be twofold: we should recognise them as being from God for our good, and we should seek God’s face about them. Ultimately, they turn out for his glory. The immutability of God is truly an anchor for our souls. In our Information age where rapid change is the norm, God’s unchanging character comforts us. We know His promises, ways, and purposes will not fail – they are firm to the end. I just started reading chapter 14. And here I enter into an attribute of God that our present age hardly considers – God’s justice. Yet, it is a true comfort for the believer. I have Christ’s righteousness imputed to my account for life simply because God is just. He will not punish twice for the same offence. I am secured eternally for Christ has borne God’s wrath in my place; I never have to bear it again. I am at peace amidst the evils and injustice in the world for I know that there is a Judge who will unravel all at the end of history. Evil will not ultimately prevail. No. Righteousness and Truth shall conquer. And this is because God is just. God’s grace is baffling! We do not deserve it (in fact, we deserve his judgement), yet He pours mercy on us profusely. His grace is like a light shining in the midst of a dark and turbulent storm. Thus, God will bring trials our way to make us depend on Him, and it is through this means that He matures and develops our character. He is more interested in our holiness than in our momentary gladness, for He knows it is our holiness that will secure us lasting joy. As someone who is deeply concerned with understanding the gospel as a ‘total gospel’, deliverance from both sin and the effects of sin, Packer’s passage about not losing sight of the root problem (pp.189-190) was a welcome reminder. It is so easy to see how the gospel influences education, business, physical illness, crime, etc., and forget that the basic need is for our relation to God to be set right. This is the real cause of the brokenness in our universe. And it is by fixing it that, ultimately, our world is restored. I close with some words from J.I. Packer encouraging us to take the risk and live all out for Christ.